Next, it’s time to focus on the eye area. First, concentrate on filling and shaping your brows to perfection (we cannot stress enough how much a good brow can shape and frame a face). For an everyday look, try to avoid anything too harsh looking on your brows and instead opt for a subtle but polished shape. 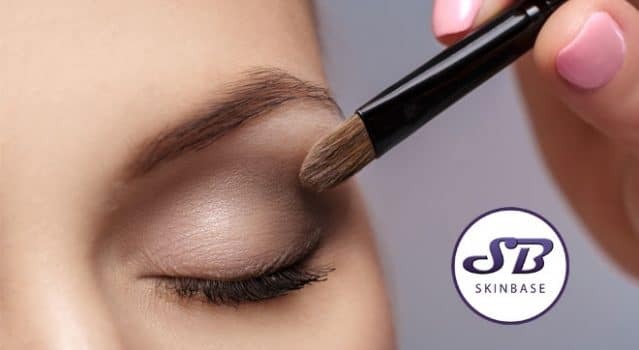 Next, it’s time for eyeshadow – even if you’re heading to a casual daytime affair rather than a full blown night out, still try to make time to apply a neutral shade to your lids – it will get rid of any redness and last longer than a simple eyeliner smudge. Making sure you focus on your eyes first means that if you mess up it won’t affect the rest of your (soon to be perfect) made up face. Makes sense to us! So here’s the order. First, start with foundation (the clue is in the name, you’re quite literally applying a foundation for the rest of your make up, so spend a decent amount of time getting the right shade and apply with a damp beauty blender for maximum blend. Next, it’s time for our old friend concealer – add a touch to any dark under eyes and any stubborn blemishes for a flawless finish. Now it’s time to add some depth. Head for bronzer and don’t be frightened, you don’t need to apply it like you’ve spent the last six weeks baking on a yacht in the Med. Choose a subtle bronzer if you’re pale. Your blush should sit atop your bronzer. Otherwise, you risk getting a muddy, splotchy look as opposed to a natural flush. Yes, time for highlighter! This should be the final step to your face make up. Apply it to your cheekbones and the bridge of your nose — and anywhere else natural light would touch and reflect – glorious. Lipstick, gloss or a simple lip pencil, adding some definition to your lips is the way to finish your look. You know the drill, apply your lips in conjunction with the look you’ve gone for on the rest of your face – sometimes a quick swipe of gloss is equally as effective as an intense red lip. Hopefully, this goes some way in helping you navigate your make up bag, but we’d love to know your hints and tips. How and when do you apply different makeup? P.S – for the most amazing painting you should always start with the canvas – make sure you’ve booked for your SkinBase microdermabrasion Facials!